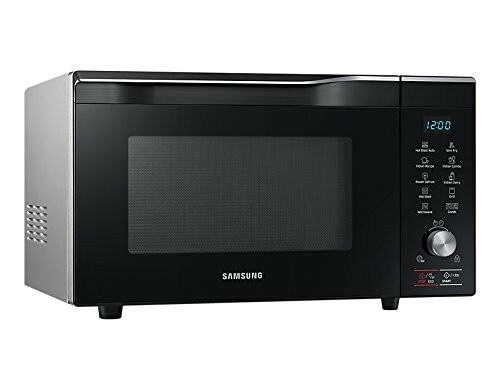 Samsung 32 L Convection Microwave Oven (MC32K7055QT, Stainless steel) carries Hot Blast technology that is very helpful to minimize cooking time significantly. This technology cooks food evenly and delivers crispy foods outside and juicy inside. 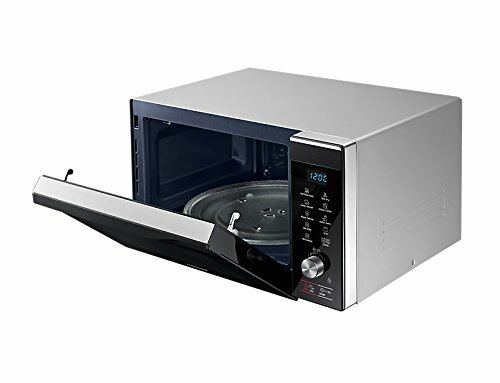 Further, MC32K7055QT features Wide Grill to cook foods evenly and to improve coverage up to 90-percent. 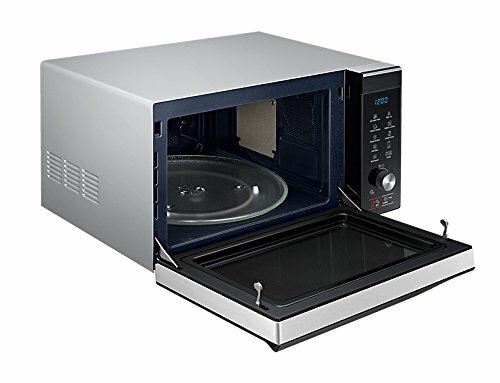 Since it is able to distribute heat seamlessly so you can enjoy perfectly grilled and browned food every time. 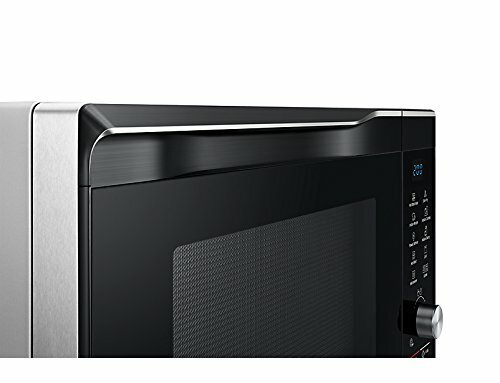 This Samsung convection microwave oven lets you enjoy healthier fried food without a deep fryer. 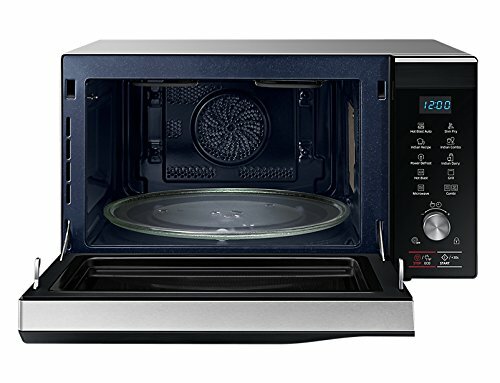 Since it has slim fry technology that combines a grill with warm air circulation so food is cooked crispy inside and out using only a touch of oil. 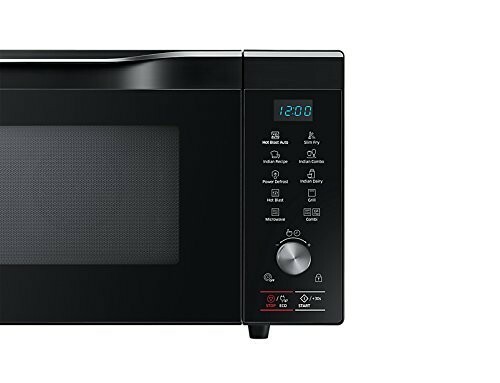 Amazingly, this top brand microwave oven carries long lasting ceramic interior that is very easy to clean and it is scratch free also. Since the interior has smooth surface so it can be cleaned without scrubbing and won’t discolor over time. Ceramic interior is naturally scratch resistant and free from rust. 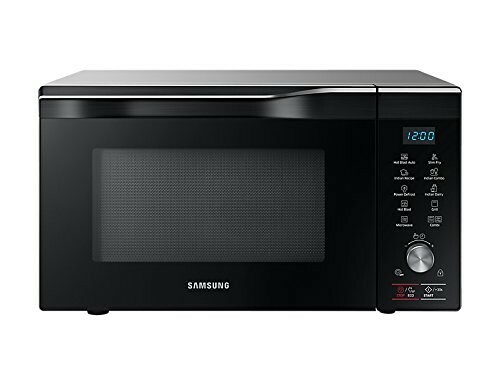 Samsung MC32K7055QT microwave has 15 pre-programmed menus letting you enjoy nutritious homemade dishes that are made of fresh ingredients that re healthy too.